Hub Group, a leading $3.5 billion transportation management company, provides more than 46 years of time-tested intermodal, truck brokerage and logistics services throughout North America. Hub Group’s strategy is not only innovative and customized, but it’s also incredibly effective – providing you access to a fleet of more than 32,000 of Hub Group’s 53-foot freight containers and over 90,300 rail assets that offer the most flexible and reliable intermodal shipping service operating throughout North America. Hub Group arranges for the movement of its customers’​ freight in containers and trailers by contracting with railroads to provide transportation over the long-haul portion of the shipment and with local trucking companies for pickup and delivery. Plus, Hub Group negotiates rail and drayage rates, electronically tracks shipments in transit, consolidates billing and handles claims on behalf of its customers. 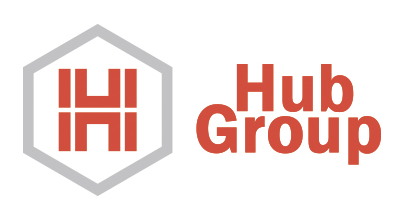 Hub Group’s wholly-owned subsidiary, Hub Group Trucking (formerly Comtrak Logistics), is one of the largest intermodal drayage carriers in the United States, with nearly 2,650 drivers and 25 terminals servicing both the domestic and international markets. Additionally, Hub Group Trucking’s dedicated truck services provide shippers with a consistent fleet of professional drivers—plus the assets, personnel and at-the-ready in-house information technology team to ensure flawless distribution operations. Hub Group’s award-winning 3PL division, Unyson Logistics, provides a full spectrum of logistics services that range from bid management and transportation optimization, to consulting, reporting and continuous improvement. Hub Group’s wholly-owned subsidiary, Mode Transportation, provides a wide array of transportation services through a network of Independent Business Owners who operate their businesses throughout North America.